Are you and your family ready to enjoy a new outdoor oasis right in the comfort of your own backyard? 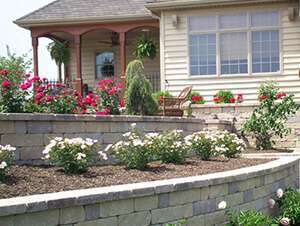 Call your local, reliable landscape contractor in Lancaster, Root’s Nurseries. We can design and install a beautiful new landscape at your home, where you and your family can entertain guests or simply enjoy the peace and quiet of nature without having to pack a tent! Call us today so we can tell you even more and so we can give you a free estimate. 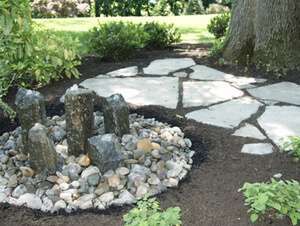 Then, let’s set up a great time to come out and begin envisioning, designing and installing your new landscape. 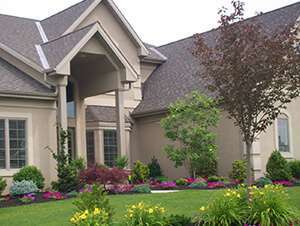 Every yard, property and landscape is unique. Our team of professional designers and landscape contractors are ready to help you get your unique landscaping venture off and rolling! If you’re looking for a small patio, let us know and we can make that happen. Or if you’re looking for a larger outdoor entertainment area, our landscape contractor can make that a reality too! Our skilled team of landscape contractors can tackle jobs of all shapes and sizes, and the best part is, we will always listen to your ideas when it comes to your new landscape. We want you to know that we will always work to the best of our abilities to make your landscape dreams a reality. For more information on how to hire a reliable and professional landscape contractor serving Lancaster and the surrounding area, call Root’s Nurseries at 717-898-0041 or you can Request a Free Estimate!